​Turn your: ​Books, articles, ads, blogs, white papers... into audio. 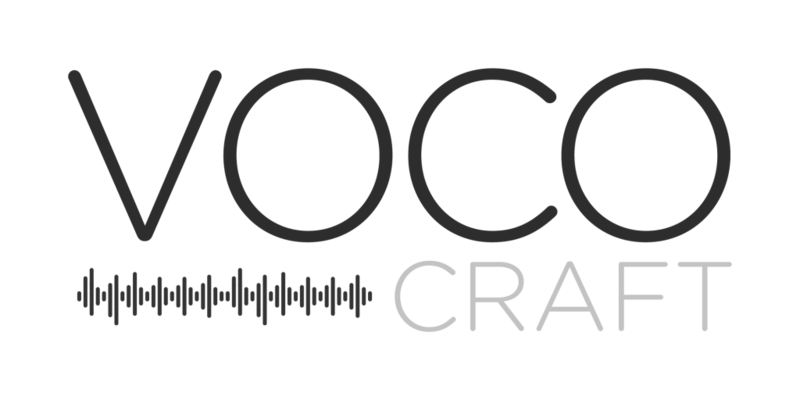 Contact: contact@vococraft.com for a discussion about your content. Are You A Publisher Or Distributor Of Content? Transform your content into profitable, ad-driven audio files at a tenth of the cost of using human narration. Contact us for a demonstration and a cost/profit discussion. Authors & Book Publishers: VoCoCraft specializes in our Synthetic Audiobook™ creation services, a computer generated book in audio form. Contact us to learn more. The massive shift towards a mobile-first world is driving demand for digital audio and B2B publishers with stockpiles of text-based content who are sitting on an untapped gold mine of advertising revenue. Forrester Research reports that “in-stream audio advertising is an untapped marketing opportunity”. According to the study, 28 percent of U.S. online adults and 17 percent of European online adults stream music on their desktop or mobile phones. Large, growing audience. The IAB cites a report from Edison Research and Triton Digital that found 57% of Americans older than 12 listen only to radio, while 21% listen to podcasts. Digital audio's popularity is also evidenced by the large user bases of music streaming platforms. For example, Spotify counts more than 100 million global users, and SoundCloud has over 175 million monthly users worldwide. Favorable demographics. All age groups consume digital audio, though the 18-34 demographic are the heaviest users. Piper Jaffray estimates Pandora's largest age group to be 35-44 year olds, with 21% of users within that segment, while 26% and 21% of Spotify users are between 18-24 and 13-18, respectively. Audio listeners are also high earners: 41% of podcast users make over $75,000 annually, according to an Edison Research survey. Effective reach on mobile. Music apps accounted for 16% of mobile time spent in June 2016, behind social networking apps at 20%, according to ComScore's US Mobile App Report. Triton Research figures cited in the IAB report reiterate this point: 83% of total listening hours streamed from stations or publishers occurred on mobile in Q3 2016. Furthermore, 80% of SoundCloud's traffic occurs on smartphone devices. Highly engaged listeners. Podcast ads generated a positive action among two-thirds of listeners, according to comScore and Wondery research. Meanwhile, the IAB cites a Midroll survey where 67% of respondents were able to name a product or promotion mentioned in a podcast, and 61% indicated that they had bought something they learned about from a podcast. No screens in the way. Audio plays when screens are off, locked, or nonexistent, providing a touchpoint to consumers regardless of whether they're facing their screens. Digital audio ad impressions do not rely on screens, and this creates opportunities for marketers to reach consumers on new platforms, like voice-active interfaces, and in different contexts, during both active and passive listening sessions. It’s clear that audio based content will play a major role in how consumers discover and learn in the future. How will B2B publishers take advantage of this growing trend? There’s no question that the demand for audio is there. B2B publishers simply need a cost-effective solution for transforming their existing, massive stockpiles of text-based content into dynamic, ad-driven audio they can profit from.